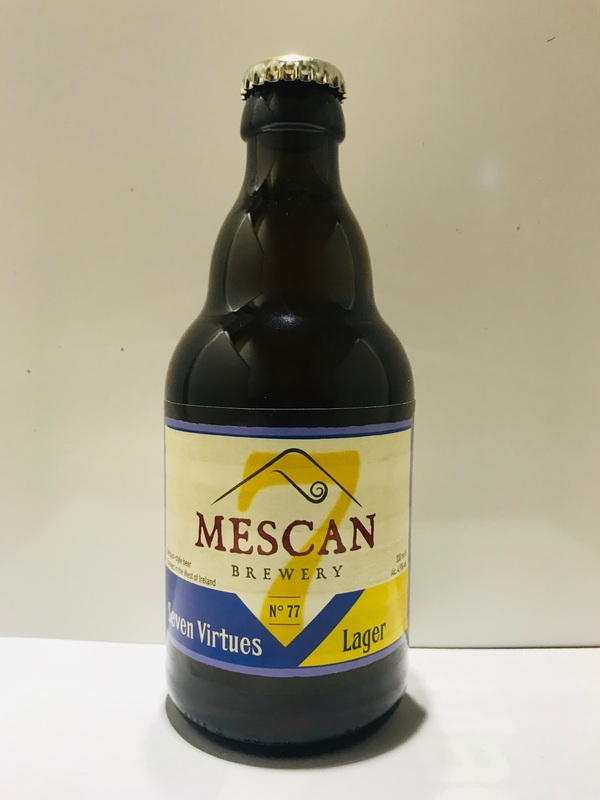 Mescan Brewery have launched the first of the ‘Seven Virtues’ series of one-off brews. It comes hot on heels of their successful Beoir na Nollag Christmas beer and provides quite a contrast in style. Crisp and slightly dry-hopped, it is a nod in the direction of both tradition and innovation. Seven Virtues Lager has an alcohol content of 4.9% and the recommended serving temperature is between 2o and 4oC. “Our brew harks right back back to the roots of traditional lagers, quite different to major commercial beers”, explains Cillian O’Moráin of Mescan Brewery, “Seven Virtues Lager has a more balanced and interesting flavour with a light, clean taste. We are very pleased with our first foray into this beer style”. Mescan Brewery produces artisan beers brewed in small batches on the slopes of Croagh Patrick near Westport. The eight beers currently available are: Seven Virtues Lager, Mescan Blond, Mescan White, Mescan Red Tripel, Mescan Saison, Mescan Extra, Westporter Stout and Mescan Special Reserve. Seven Virtues Lager and the other Mescan beers are available in outlets including Redmonds of Ranelagh, Martins of Fairview, SuperValu Westport, Centra Westport, SuperValu Castlebar and through the website and nationwide. Named after the monk Mescan who was St. Patrick’s personal brewer, Mescan is brewed on the slopes of the holy mountain Croagh Patrick, near Westport in Co. Mayo. Founders, owners and brewers are ex-veterinary surgeons Bart Adons and Cillian O’Moráin. Next in the Seven Virtues series will be the wild and unconventional Lambik beer. Fasten your seatbelts!